A hangover headache is a common symptom of alcohol consumption. Normally, such a headache is not pleasant and not many people want to experience it. A lot of people are yet to understand what causes these headaches and how they can be avoided. 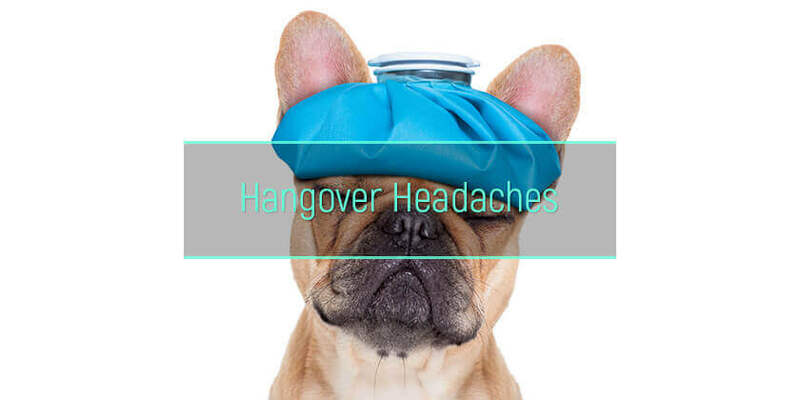 This, therefore, makes it important to understand what causes hangovers, what a hangover headache and migraine is, how long it lasts, the dangers involved and how to cure hangover headaches. How long does hangover headache last? What are the causes of veisalgia headache? What are the dangers of hangover headache? How to get rid of hangover headache safely? How to reduce the risk of hangover headache? A hangover headache is a discomfort caused by excessive consumption of alcohol. The headache from alcohol is usually accompanied by other hangover negative symptoms such as dizziness, thirst, and sensitivity to light. 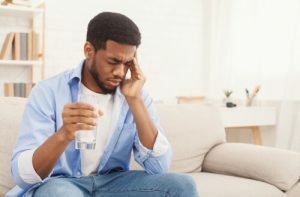 While a headache after drinking can appear at any time of the day, one is more likely to experience it on the morning following heavy drinking. A headache from drinking alcohol usually starts early in the morning after taking alcohol. This is usually 4-6 hours after one has consumed alcohol. Once the alcohol metabolizes in the body, the consumer will start experiencing the effects. Depending on the individual and the amount of alcohol one takes, a headache hangover could last anywhere between 4 to 10 hours. Rarely, however, have people experienced a migraine for more than 10 hours. Dehydration – As one takes more alcohol, the body tends to lose excess water through urine. This is because alcohol usually inhibits the action of the antidiuretic hormone in the kidneys. The vasopressin tells the kidney how much water to reabsorb into the body. Its inhibition by alcohol leads to excessive urination which leads to dehydration. The dehydration could then cause an alcohol headache. Alcohol additives – Alcohol contains additives such as congeners found in dark drinks. Congeners are impurities formed during the fermentation of alcohol which dictates its physiology, taste, and aroma. They are believed to cause migraines in the event of excessive consumption. Alteration of human hormones – Alcohol causes a hormonal imbalance in the body by either causing an over secretion or inhibition of certain hormones. For example, it could lead to the over secretion of cortisol, also known as the stress hormone, which could increase blood pressure in the body. This could lead to severe hangover migraines. Increased levels of acetaldehyde – Acetaldehyde is the product found after the metabolism of alcohol by the body. It is a highly toxic and carcinogenic substance that once introduced in the body can cause damage to major organs. This could lead to a migraine. A hangover migraine is usually a symptom of an underlying cause. It is worthy to note that while the migraine itself will not likely cause an individual any harm other than discomfort, whatever it represents, whether an accumulation of toxins in the bloodstream or an imbalance in hormones could affect the person. It could affect a person’s memory – people whose work relies mostly on a perfectly working memory could be affected. It could affect a person’s concentration – An example is a driver with a hangover headache could lose his concentration thus causing an accident. Dexterity – For example, a headache after drinking alcohol while operating machinery could affect concentration, enough to cause accidents on the operators or others. It could cause sleep deprivation – Sleep deprivation from a hangover headache could interfere with normal bodily functions such as blood pressure by lowering it. Concussions and aneurysms. This could occur from accidents during a drunken state. An aneurysm, when left untreated, could rupture thus putting pressure on the brain. This could cause death. Conditions such as stroke and meningitis. One of the common meningitis symptoms include severe headaches. Considering that the disease can affect anyone, a hangover headache might mask the disease. It is possible to safely cure a hangover migraine. The internet is awash with cures of hangover headache and varied advice to handle the effects of alcohol such as how to stop throwing up after drinking. However, it is always important to properly scrutinize every advice on how to cure hangover headache before trying it. This will help prevent more harm to the user. Two of the most effective ways for curing hangover headaches include natural methods and use of medication. Drinking water and fluids – this helps in the rehydration of the body. Fluids such as coconut water help replenish electrolytes in the body. Get a heavy breakfast the morning after – Like fluids, eating food that is easy to digest such as cereal helps restore the body’s electrolytes while at the same time providing the needed energy to keep going. Vitamins – Vitamins such as Vitamin B6 have been known to work as a hangover headache cure. Pain medication – this work as a cure for a hangover headache. One should, however, avoid acetaminophen (Tylenol) at all costs. This is because the drug weighs down on an already overworking liver which could lead to liver damage. The best cure for hangover headache is to avoid it. While it is important to learn how to get rid of a hangover headache, it is more important to learn how to avoid it. This not only prevents such migraines, but it also makes it easier to avoid other effects such as hangover back pain. There are steps that, when followed could help one wake up the following morning without a migraine. Eating before drinking – Eating is a great way to reduce the chances of reducing a headache after alcohol because it prevents the quick absorption of alcohol in the stomach. Taking water in between drinks – A glass of water in between drinks will help prevent such migraines. Water prevents dehydration. It also helps the individual drink less. Setting drinking limits and sticking to them – Knowing one’s limit and sticking to it is a great way to avoid unwanted symptoms. Excessive consumption of alcohol might not only cause a hangover migraine; it could also cause alcohol poisoning. It is also a wise move to stop if the person experiences an instant headache when drinking alcohol. Picking drinks carefully – Alcoholic drinks with congeners are more likely to cause a hangover migraine. Picking the right drink can also help prevent other unwanted events such as diarrhea day after drinking. It is worthy to note, however, that any type of alcohol, when taken excessively, can cause such a migraine. People have explored different ways to reduce the effects that might be felt on the morning after, including sweating out alcohol. While a hangover migraine is a common symptom for people who take alcohol, it does not make it pleasant. Such a symptom usually manifests itself in the event one takes alcohol in excess or without taking cautionary measures to make sure that the alcohol does not interfere with bodily functions. Seeking medical attention might also be a great idea if one experiences more effects such as fever and chills after drinking alcohol. It is hard to admit the problem, but the recovery is impossible without this step. Ask for medical help with alcohol abuse and get the second chance for a healthy life. The rehabilitation in a facility may seem to be the long and difficult process, but it is totally worth it.